Be a HART Angel Instead! 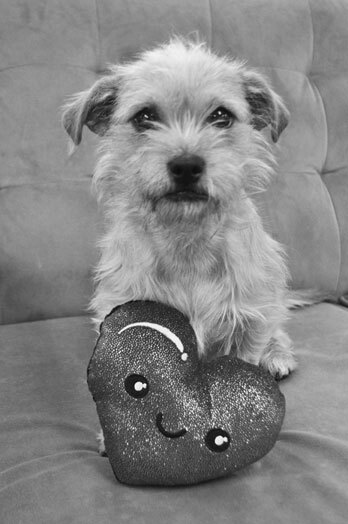 This Valentine's Day, save a real heart and give the gift of life to a homeless dog or cat by making a special donation to HART. Be a Valentine Angel to one of our dogs or cats. $25 will feed one dog or cat for a month. $75 will buy gas for our weekly life-saving transport to save those in kill shelters. $125 will spay or neuter one dog or cat. $250 will sponsor a HART animal for one year. Each card costs $10 and features a dog or cat rescued by HART. No stock photography here. Note: This card design is currently on order and might not be mailed in time for Valentine's Day! Make the card special. You've got a couple options. You can choose one or both, but regardless, it's all handwritten. * We only write what you type. Also, please keep it under 200 characters. You'll have the opportunity to add an Angel donation to your order during checkout. If you'd like the person receiving this card to be notified that a donation was made in their honor, be sure to mention it in your Personalized Message! Who's getting this card and where do they live? The Post Office would love to know. Each card costs $10, and any additional donation makes a difference to a needy cat or dog. Select an amount or enter your own, any donation makes a difference to a needy cat or dog. $25 :: Feed one dog or cat for a month. $75 :: Buy gas for our weekly life-saving transport to save those in kill shelters. $125 :: Spay or neuter one dog or cat. $250 :: Sponsor a HART animal for one year. All we need is an email address to send you a confirmation. You're almost done!